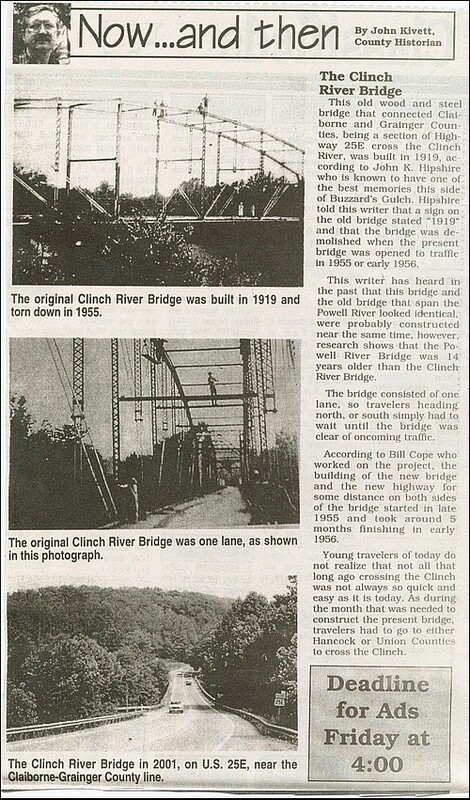 Take a long last look at the Claiborne-Grainger County Bridge the next time your on your way to Morristown. Soon it will be no more. The first was when John Sevier along with the commissioners crossed at Looney's Gap Excerpts from Sevier Journal. Has the construction on the new four lane bridge been as good as it could have been? See my Sloppy Construction on 25E Bridge Grainger/Claiborne County Line.